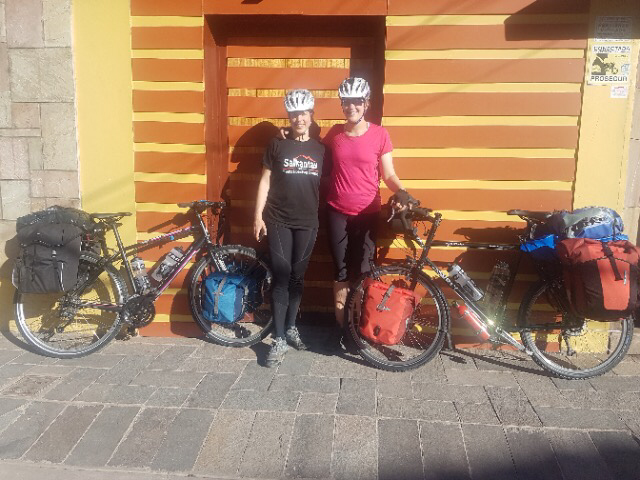 After all the excitement of the fiesta in Huaro, we had a very quiet day’s cycling in the sun with the wind at our backs, as we continued our way up the Sacred Valley. Having now passed the main tourist towns, villages started to become further apart and we decided to find a spot to wild camp. Stopping in a sleepy village called Llocllora, we walked up behind the few rows of earthen cottages, to find a perfectly flat and well hidden camping ground…or so we thought. 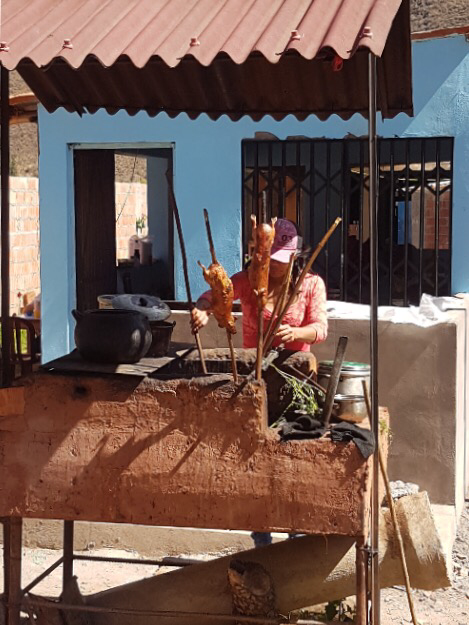 After a rest day in Urubamba and a quick visit to more impressive Inca ruins at Ollantayambo, we got back on the road heading up the Sacred Valley to Pisac. 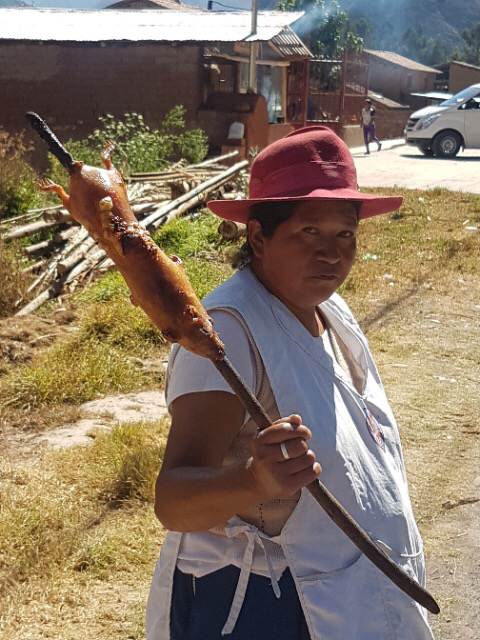 If you’re ever in need of a road-side snack, a small town near Urubamba offers an abundance of roast skewered guineapigs (a Peruvian delicacy). Fortunately, or unfortunately, we’d had a hearty breakfast so pedalled on by to the tune of a few cheery ‘holas’ from the street hawkers. 2) To have our bikes. Looking back to 2 weeks ago in Blighty… flat decorated – tick (thanks Dad! ), flat let – tick, work finished – tick, bike ready – tick, kit ready – tick, farewells done – tick. Months of planning all now seems a million miles away! So what’s this all about? The big plan is to cycle the length of South America. To make the most of the seasons I’ll start in Cusco – Peru, then ride down through Bolivia and Chile to Ushuaia at the very south of the continent. If all goes well, I’ll then transfer back up north to ride through Colombia, Ecuador and back to Peru. 9 months and 11,000km in total, give or take.